Crowns completely cover the tooth on all sides, ensuring long lasting restoration of teeth. Crowns are required to repair teeth in the following situations: Teeth that have undergone root canals, teeth with large failing silver fillings, and teeth with fractures present. 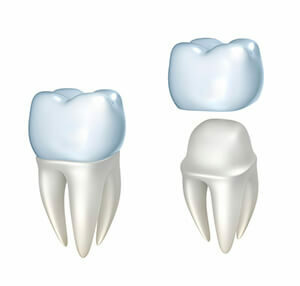 Crowns will prevent the unnecessary premature loss of teeth due to fractures or decay. The use of crowns is essential in any situation that requires greater strength. 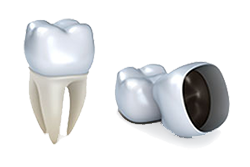 Crowns are fabricated from ceramic or ceramic and metal, and are indistinguishable from adjacent teeth. Almost all of our crowns placed by our doctors are e-Max brand all ceramic crowns. These superior restorations almost never chip or fracture. You will NEVER see any discoloration around the gum line over time. The crown looks and feels so life-like that you will forget that its even there. If you have had bad experiences with crown work in the past--rest assured that not all crowns are created equal. 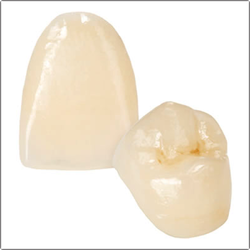 e-Max crowns are the most advanced crown technology on the planet. Only the best for our patients at Lakeview Dental. 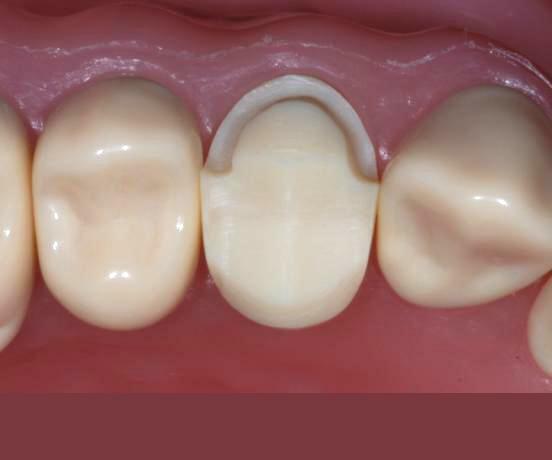 Often crowns are added to existing teeth to create better connecting surfaces for attachment of fixed bridges and partial dentures. As with all treatments, crown restorations require meticulous oral hygiene; proper brushing and flossing techniques are effective in eliminating plaque and bacteria. Crowns or caps can last the longest compared to other treatments depending on placement and forces placed on them. Having a crown placed requires two appointments. The first appointment, the crowned tooth will be prepared and impressions are made. The doctor will take an impression that will be used by a laboratory to fabricate your e-Max crown. It takes about two weeks for it to be made. During that time, you will be wearing a plastic, temporary crown that will be removed and discarded when you return. The doctor will permanently bond your new crown onto your teeth. When the application process is complete the crown will be seamlessly shaped and their appearance will be almost undetectable.